Dustin oversees and manages strategy for all of SendGrid's SEM marketing campaigns, and governs SendGrid's brand recognition and brand protection efforts. 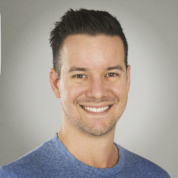 Dustin has over 12 years of experience in direct response marketing and managing large brands online with six and seven figure monthly spends. Dustin specializes in managing large, complex PPC search and display campaigns to optimize brand recognition, revenue, and retention.